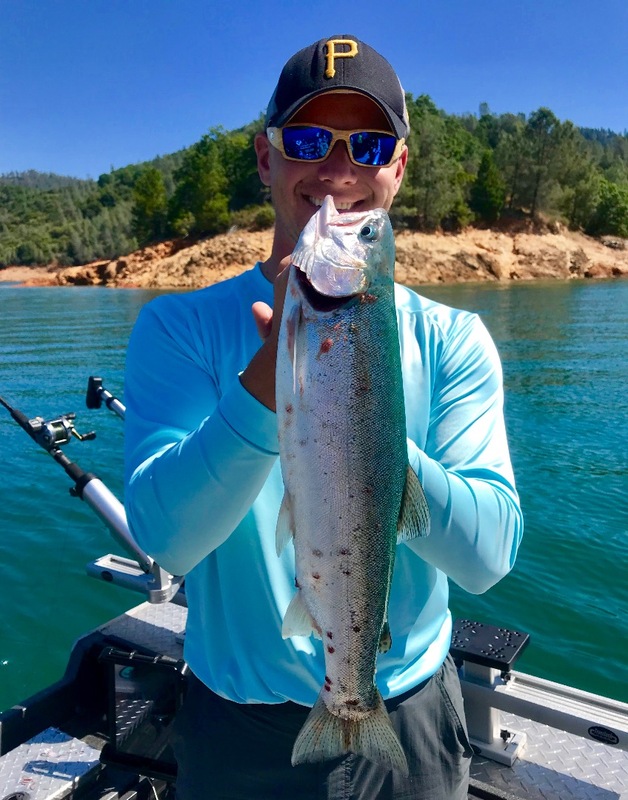 Today we fished Shasta Lake again and it produced a lot of big bites right out of the shoot! I switched things up a bit today and it paid off right away. 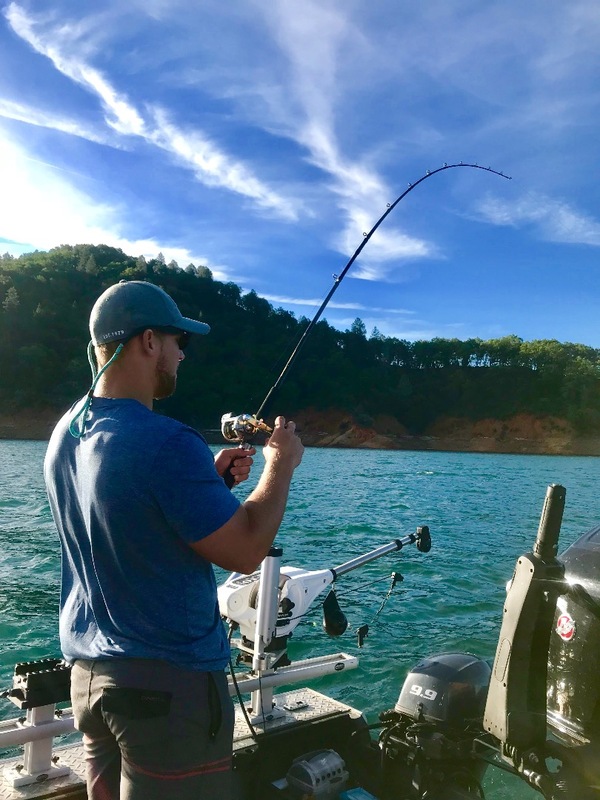 Big rainbows were pinning rods in the rod holders and the reels were screeming like mad with each big fish hooked. 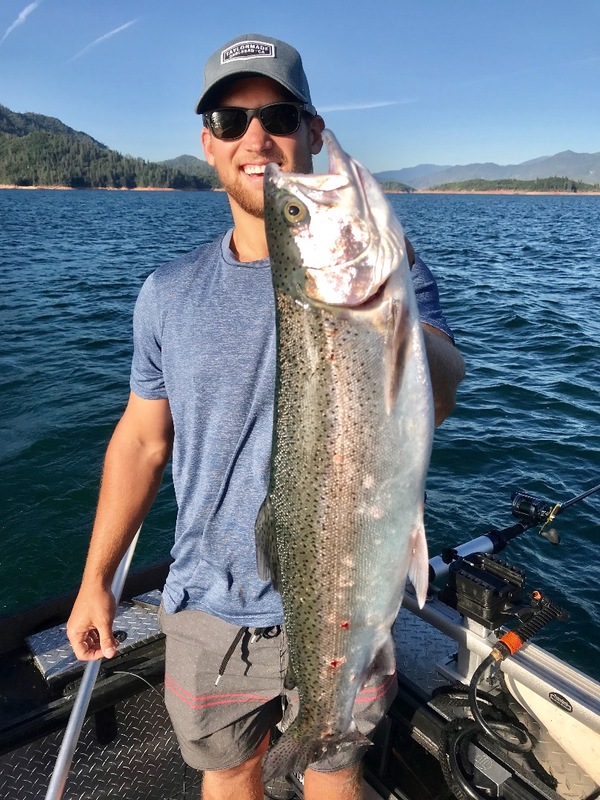 Our biggest fish peeled line and made several long runs, but unfortunately it came off close to the boat before I could slide it into the new Beckman net! 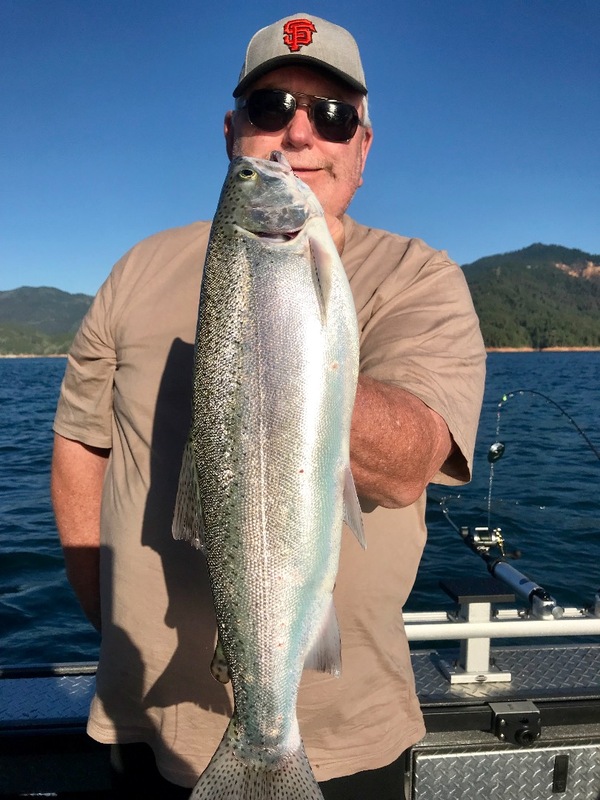 Great day over all with easy limits of big, bright rainbow trout!